We still meet industrial companies who talk about SCADA solutions. We do agree with them, SCADAs are great solutions nowadays, but with the introduction of the Internet of Things, the game for SCADAs is coming to an end. At thethings.iO we are workings towards the end of SCADA and the rise of the Industrial IoT. 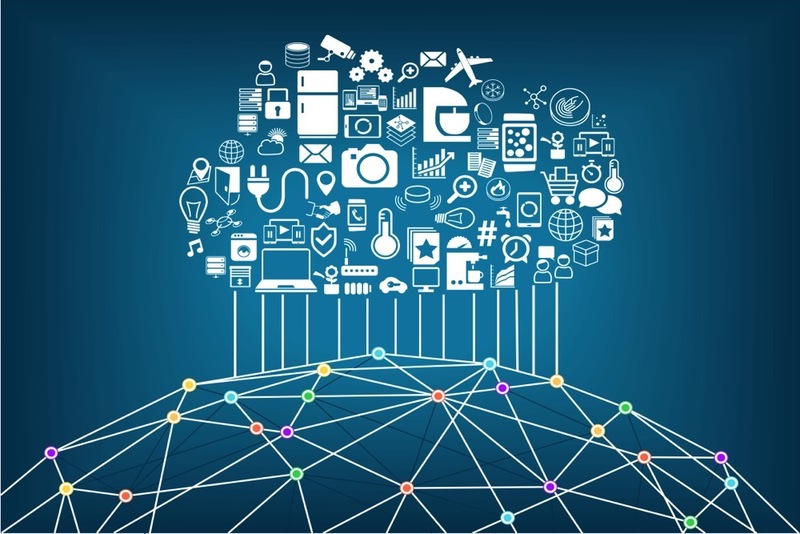 Scalability, flexible protocols, new connectivity networks, users management and access into advanced algorithms are converting the industry into the new realm of the IoT. There is even a marketing name for this, the Industry 4.0. Actually, the industry remains to us what the connected home was few years ago. 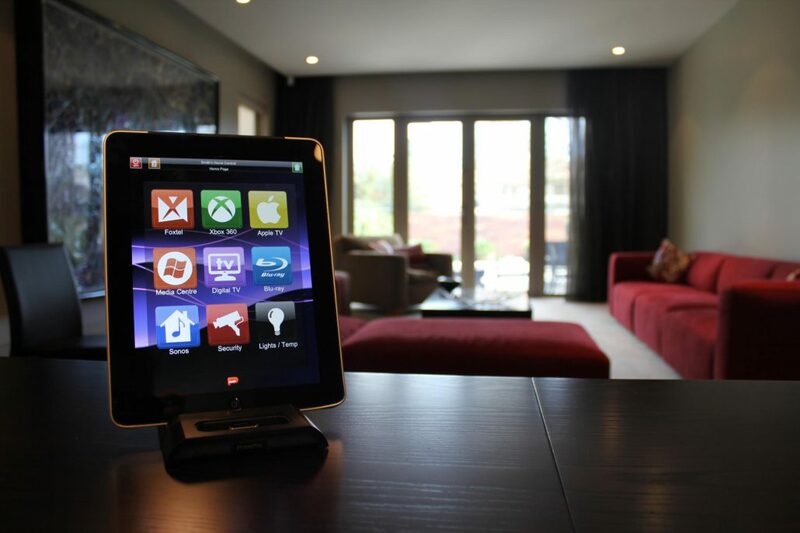 Speaking about the connected home few years ago, was a synonym of speaking about home automation and domotics systems. If you wanted to have everything connected at home you needed to rely on a unique solution for all the devices at home, or at least all of them speaking the same proprietary protocol. Several years ago, I listened an expert explaining how home automation and domotics were necessary to have a smart home. At that moment, I asked about what protocols were available to achieve interoperability, and the only solution available was KNX, LonWorks, among few others. Having said that, once you install a domotics system at your home, cables, fiber were needed to be in place. If you needed to move home, it was (almost) impossible to move the domotics system to a new home. With the IoT introduction and products such as Nest, Philipps Hue, LIFX among others, showed the world the good parts of IoT- simplicity, WiFi connectivity, flexibility and could be moved anywhere. At that point, Domotics were dead! IoT was the new kid on the block ready to replace home automation systems. SCADA is a system used for a day-by-day operations in a control room or similar.  Nevertheless there is no data analysis to check the performance, integration with CRMs or ERPs and finally there is no contextual information connected to the SCADA. On the other hand, IoT is all about data analysis, Big Data processing on the top of the data, such as AI algorithms, ML and predictive. Protocol such as OPC, OPC-UA and others are the standards today on the industry. On the top of that, on IoT there are a dozen of other protocols that can help industries to get connected or to get real-time notifications. MQTTS, HTTPS or CoaP with TLS can help industries plus bring a security layer needed to encrypt the messages and information. Integration among devices and manufacturers are not easy on SCADA systems. Usually in domotics, you need to have devices from the same manufacturer with the same version. If that does not happen, it’s usually almost impossible to easily integrate devices on the current SCADA. There is no presence of horizontal platforms that are operable across devices. On the other hand, on IoT this is one of the most beneficial features for an industry. Standard protocols such as MQTT enables platforms to communicate with each other even if there is a different vendor. Well, probably not yet. Nowadays more and more industrial companies are understanding the benefits to move to the IoT. So, if you want to digitalise your factory, contact us at thethings.iO. To find more information on this link, that inspired this post, go to 4 main differences between SCADA and Industrial IoT. thethings.iO Cold Chain Tracker is an innovative device that monitors the temperature of any assets you would like to in real-time. Connected with Sigfox and monitoring temperature, humidity and light is a ready to go solution for your business, made by thethings.iO. Cold Chain Tracking opens up many new opportunities for advancement in the market. It is very important for certain businesses to employ the latest technology in order to stay competitive in the market. Cold Chain Trackers are especially vital to the temperature-controlled supply chain of the perishable food and pharmaceutical industries. Perishable foods in transit often go to waste due to improper temperature control. With the increment of food delivery and food trade in general, the cold chain is becoming a main problem to warranty that is maintained. There is still not a common law for cold chain on food delivery, but it will exist soon. On the other hand, the amount of waste from perishable foods has increased over time and contributes to a huge portion of waste that is harmful to the environment and can be potentially dangerous for us. A large percent of supermarket inventory is made up of perishables. Perishables include, but are not limited to, meat and poultry, dairy, fruits and vegetables – clearly they make up a large portion of supermarket sales. Vaccines are a regulated good that is mandatory to send with refrigerated control, all around the world since some years ago. The cold chain is a critical part of the vaccines. Once the cold chain is broken in a vaccine, it becomes completely useless. In addition some countries require specific documentation during the transportation of medical goods that need to accomplish the cold chain. With thethings.iO we can help you to monitor in real-time the cold chain for vaccines and medical goods, sending alerts every time there is a risk to break it. 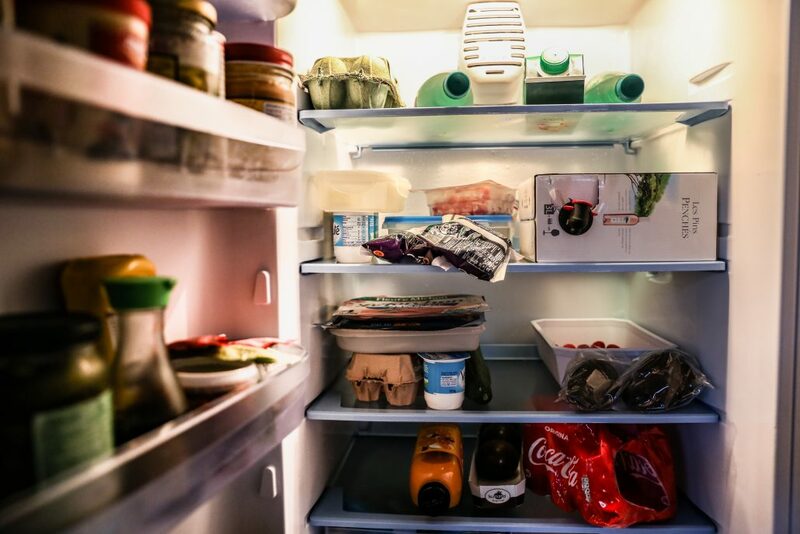 thethings.iO Cold Chain Tracker offers a solution to efficiently transport all these goods while minimizing product inefficiencies, customer experience, waste and offering the real-time notifications for the trader in case there is a problem with the cold chain. The tracker will send a real-time alert to the company so they are able to regulate the temperature before the good in transport becomes garbage. And the customer’s company will have a dashboard to understand in real-time how is their food delivered and transported, and even the customer (supermarket, distributor and even final customer) they will be able to see another dashboard to understand in real-time that the cold chain have been correctly executed. If you would like to read more about thethings.iO Cold Chain Tracker and how it can benefit your business read our white paper on thethings.iO Cold Chain Tracking. The ability to track your assets real-time comes with many benefits. Location data enables an organization to derive valuable information that aids in the process of efficient decision making. In addition, it enables an organization to reduce operating costs while improving efficiency. Now thethings.iO can help you with this. The location data can be used to optimize delivery routes, avoid specific areas and inefficient dispatch. This will help your company to save time, fuel, labor, and depreciation of transport vehicles. Companies can also improve customer satisfaction through quick response time. Another benefit of thethings.iO Location Tracker is reducing theft or misplacement of cargo by being able to track assets accurately and knowing real-time if they go off route. The location tracker can be used to track any assets including vehicles, packages, and people. What is a location tracker? A location tracker is a sensor that you connect to your assets that allows you to locate the coordinates of your assets. Each set of coordinates corresponds to a timestamp so you know when and where the asset is, or was at that exact moment, in real-time. This product is the first thethings.iO IoT device connected in an open, scalable manner, operated with Sigfox connectivity and ready to deliver in 4 weeks. Out of the box, and thanks to thethings.iO your company can enjoy a ready tracking solution that automatically reports to the company and makes the ROI very acceptable. A practical example of use for a location tracker is for cargo and freight transportation. It is often difficult to locate cargo when there is miles and miles of large containers. A location tracker allows companies to quickly and efficiently locate cargo that needs to be shipped. The supply chain of assets is able to run smoothly from start to finish when accompanied by location trackers. Another example is to track packages (with economical high value) being sent with mailing companies, which can be tracked in real-time. Check this example of a package sent from Barcelona to Zaragoza and coming back with the Spain high-speed train (300km/h). thethings.iO Location Tracker provides you with a hassle-free way to track and monitor your assets. The setup is so simple that it can be completed within minutes! Once the setup is done the you are able to constantly monitor the tracker ID number, location coordinates, current movement status, and when it was last seen with the live dashboard supported by the Sigfox IoT platform. The ID number allows each tracker for all of your companies vehicles to be differentiated. This service allows companies and clients to have 24×7 access to the whereabouts of their cargo location. With improved efficiency, reduced costs, and time saved why wouldn’t you invest in this device supported by thethings.iO, actually the best enterprise IoT platform! With Sigfox geolocation services: with an accuracy between 1 to 10 km today (2017), Sigfox promises to improve this with AI algorithms. With Sigfox geolocation services and WiFi: if you need to have a very good GPS accuracy in cities, WiFi is the best way to geolocalize a device. Sigfox and thethings.iO re offering this information automatically with the newest Sigfox geolocation services and Cloud code. there will be no signal. So, be careful and don’t waste your time (and money) here. From here, first of all, thethings.iO receives the GPS position coming from any of these methods. Then it is possible to start analyzing the data, such as, defining geo-fences where a SMS or an e-mail should be sent if a container gets into that area, or to the destination. If you would like more information on how thethings.iO can help you track your assets in a fast, easy way check out https://thethings.io/location-tracker-using-sigfox/. Feel free to try out a free demo! This webinar will give you an overview on how to connect your devices with thethings.iO and instantly monitor them using Sigfox. The webinar will show you how to easily create a dashboard of your data that you are able to manage. It will also show you how to make a cloud code trigger that is able to launch a real-time phone call in order to alert you if a threshold is reached. The real-time calls will be sent using Twilio service. This service could be very important in situations where there is a use case with cold chain issues, health and safety of products or people are at risk. Last week, we celebrated our monthly webinar. We described what is Sigfox technology and their newest IoT geolocation service, called Atlas (formerly Spot’it) connected to thethings.iO. Geolocation is a really interesting feature in several IoT verticals. Understand where is an asset, a car, a package or people is priceless in specific moments where there is money or life in risk. All of this depends on having GPS availability on the hardware, usually a GPS chip introduced on the shield with an antenna. Now Sigfox is releasing Atlas (previously Spot’it). Atlas (Spot’it) is the newest location manager of Sigfox, with no GPS chip, that makes your hardware cheaper than expected. Hello good afternoon hope that you can hang here, I’m here and Marc Pous, CEO of thethings.iO. I’m here with Carles my colleague. 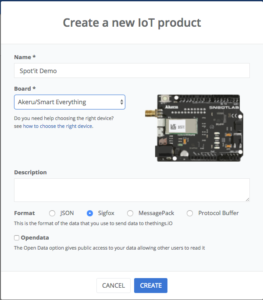 So we are here ready to the webinar where we are going to show you how to connect the Sigfox device to thethings.iO today and make a really beautiful dashboard just in five minutes. Then we are going to show you, as well, how to connect the Atlas geolocation service (Spot’it) and geolocate a device with no GPS. Finally we are going to show you an extra bonus. Actually we are going to show you how you can send a Wi-Fi mac address to thethings.iO through Wi-Fi with Sigfox and complement the Atlas geolocation with the services that can offer better geolocation like Google Wi-Fi API location. First of all, thethings.iO is the most simple enterprise IOT platform and, what does it mean? so this is what our customers say about us they say that we are so simple to use, so simple to connect devices and that’s really important when you are on an IoT project you know we all know that it’s painful to connect the device the Internet we all know that actually it’s hard to scale etc so we practice if we find all of the connection all the device provisioning all the data collection and data visualization. We simplify the way to add new business logic on top of the data. Actually collecting feedback from our customers we like to call us as the most simple enterprise IoT platform. You are free to try for free our platform you have 15 days free trial. Bidirectional communication sometimes it’s relevant on the Internet of Things field. In some LPWAN protocols it’s complex to have bidirectional communication. With Sigfox and thethings.iO it’s really easy to set up bidirectional communication, that is called downlink. On today’s post, we are going to connect a Sigfox device with the Sigfox backend in order to maintain a bidirectional communication with thethings.iO. What is Sigfox uplink and downlink? 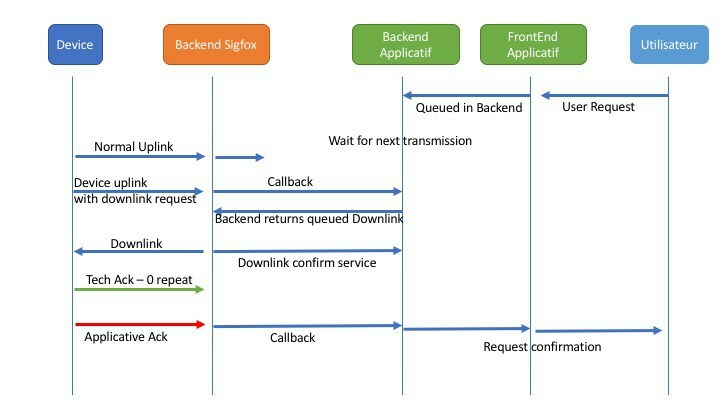 The uplink process is the usual way of data coming from the devices to the Sigfox backend, that can be redirected to thethings.iO with a callback. Find here how to connect Sigfox with thethings.iO. The downlink process is the process that enables a device to get data coming from a cloud, a mobile application or another device. This downlink process is only available when the uplink process includes an ACK flag corresponding to a downlink request. At that point thethings.iO will be available to transfer the downlink message to the device through the Sigfox backend. Find here a diagram by disk91 where you can understand better the downlink workflow interaction. Have in mind that most of these devices are low power devices or they are running with batteries, that means that they are not able to receive data anytime. A Sigfox device sending data. If you need to activate your sigfox device, navigate to http://backend.sigfox.com/activate. Access to the Sigfox backend of the previous device. A thethings.iO account. If you still don’t have an account, please register at thethings.iO IoT platform. 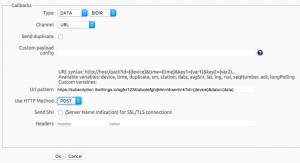 Select Sigfox as Serialisation format. Give a name and choose Akeru/Smart Everything for the board. Click on the previously created product and copy the subscription URL. 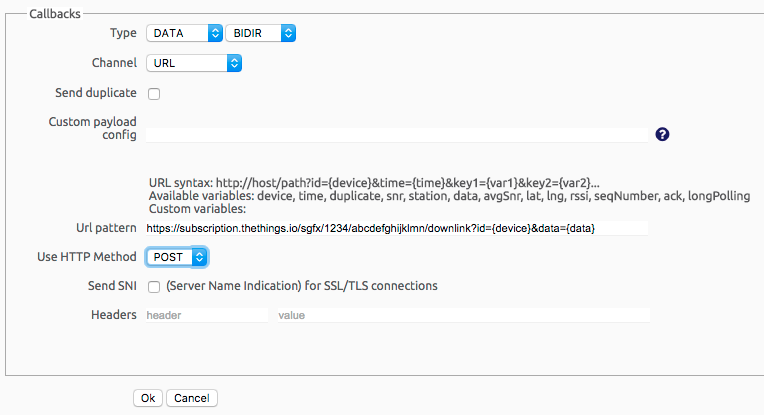 Once you have copied the previous url, navigate to the Sigfox backend. Create a new Callback: Make sure you select DATA and BIDIR as the type and POST as the HTTP Method. Move to Functions and create a new function called sigfox_downlink_parser. Make sure to introduce the previous name correctly. Each sigfox device library should provide the necessary function in order to extract the acknowledged data from thethings.iO. Focusing on the Smart Everything, there’s an example on github showing the handling of the downlink data. Feel free to create an account at thethings.iO and start connecting things to the Internet with the most simple enterprise IoT platform.